Hello there, we are back again after a week break with another forum topic and one I'm surprised I haven't asked already. What are your favorite Genres in anime? For me, it's Sci-Fi and Slice of Life. Can't beat mecha, sitting talking about nothing and sitting in Mecha talking about nothing. Quite a few for me I like vanilla, Older woman.... Oh you meant anime genres, LOL. For that I like comedy, and slice of life Cause I like to laugh every now and then, Sci-fi/Punk Just because of the futuristic depths and the grunge it has to it. 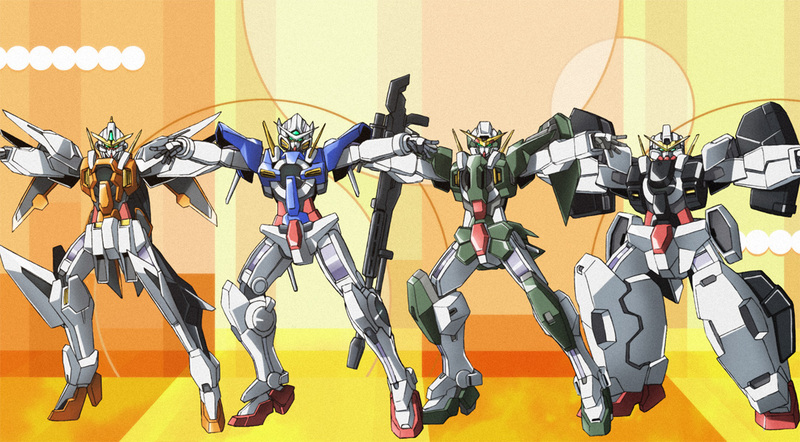 And how could I forget the best genre ever.. Mecha, it's giant robots how can you not like those. Plus the battles with them look super cool! My favorite genre in Anime matches my favorite genre in fiction and other media: Science Fiction and Fantasy. I enjoy various sub-genres as well, and also enjoy cross-overs with other genres, such as Isekai where Fantasy is often made possible through SciFi tech. And I am always a sucker for the various flavors of Steam Punk. But by and large, whatever the medium or genre, it has to not only entertain me, but tell a good story. My favorite genre (s) are Sci-fi, Fantasy and action.. But... only if I am in the right mood I will watch Magical Girl and Shonen Action shows; only because I have a soft spot for them. Blame Sailor Moon and Dragin' Balls ---they were my gateway into anime.